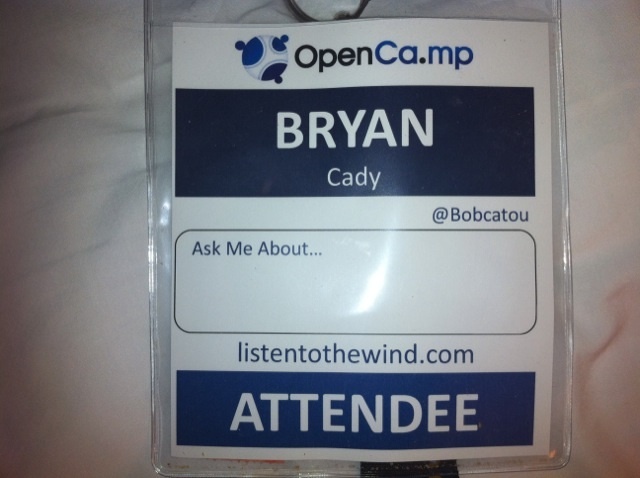 After 2 days of multiple meetings and seminars, I am moving on from OpenCamp here in Dallas, TX. I’ve learned quite a bit by bathing in the world of web development, social media and the such. Some of the subject matter was over my head but I didn’t drown in the massive amounts of information that was discussed. I did feel a little like the nerd hanging out with the cool kids at times. Everyone was so kind and I met so many people with so much knowledge of these subjects. It was great to just pick their brain. At lunch today I sat with the host of a new TV web podcast called WebBeat.tv. Her name, Pelpina Trip, will start this program in a few weeks as part of Revision3‘s lineup. Pelpina was a social media reporter for the local TV station, KDAF-TV here in Dallas. It did bring me back to the days of working at CNN by talking a little shop with her and others around our table. In the morning I am heading to Palo Duro Canyon State Park near Amarillo, TX and find myself a campsite. 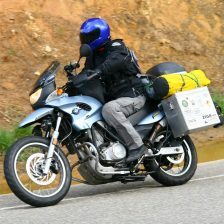 Eventually I plan to make it to my favorite national park which is Zion and do some hiking and bicycling there.